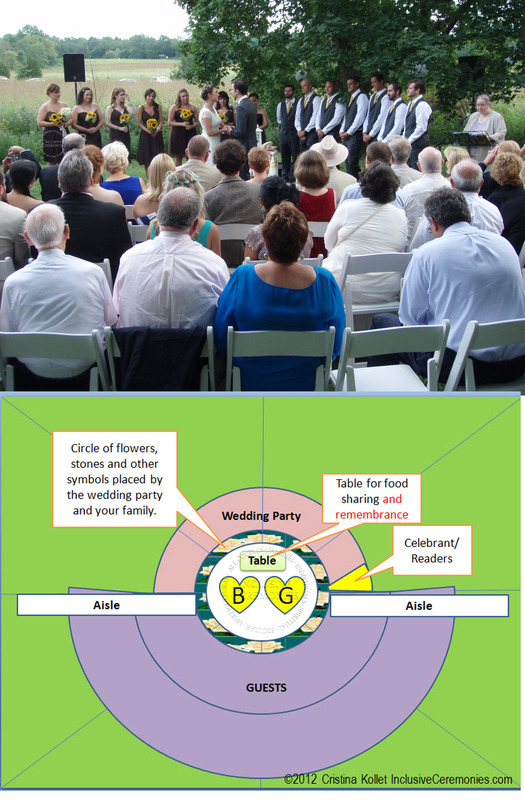 What makes a non traditional wedding ceremony memorable? A non-traditional wedding ceremony means different things to different people. One thing is certain: you can color outside the lines and develop a ceremony unique to you as a couple. 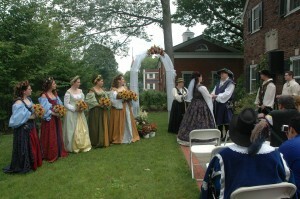 What is a non traditional wedding ceremony? A non-traditional wedding ceremony can be so many things. A lot of people just think about it as a ceremony that’s not going to take place in a house of worship. For a lot of people, even just a courthouse ceremony would be considered non-traditional. I like to focus, not so much on the idea that the ceremony is non-traditional, but on the goal of making your ceremony a personal and custom experience. If you want to make your ceremony unique, focus on making it personal. 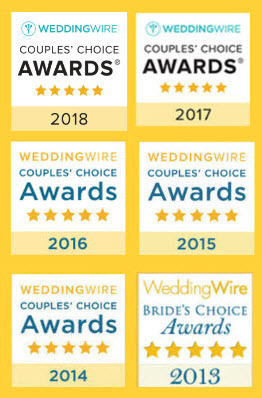 First and foremost – and this is something that makes your ceremony not just unique, but also memorable – I’m going to tell your love story. Your story is yours alone. No one fell in love the same way you did. So your story will make your ceremony unique. But that’s just the beginning. I’ll also take your love story, and other details you share with me and I will weave those things throughout the entire ceremony. Everything in your ceremony will be woven together into a tapestry of personal touches. Finally, you’ll have full approval of your entire ceremony. I’ll send you drafts and you’ll have a chance to make changes if there’s anything that I don’t get exactly right. On the day of your wedding, you can relax and feel confident that your ceremony will be what you want it to be. Sara and Grant first saw each other across a crowded room. And when Grant proposed, they were surrounded by a circle of family and friends. So we recreated those moments in their wedding ceremony by having them enter from opposite aisles to see each other across the ceremony space and having the ceremony in the round so they could say their vows surrounded by loved ones. How do we keep everybody happy and have a non traditional wedding ceremony? Kate and Mike’s Renaissance wedding was a pageant of bright colors and period costumes. Mike and Kate had hired a wonderful traditional Irish group to play period music. Renaissance Festivals were a big part of their life together and their wedding was a chance to share that with everyone, but not all of their guests were part of the Renn Faire community. So to be inclusive of everyone, we had to consider what we could do to enhance the theme without having it overshadow the wedding ceremony itself. It’s easy to go overboard with a fun theme, with the clothing and music, we could have tried to do the ceremony in period language as well. But a that would have been a distraction. 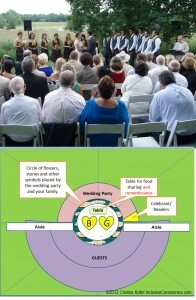 One of the keys to having an effective and memorable ceremony is making it approachable to everyone present. We left most of the language of the ceremony modern and kept it very personal to Mike and Kate. 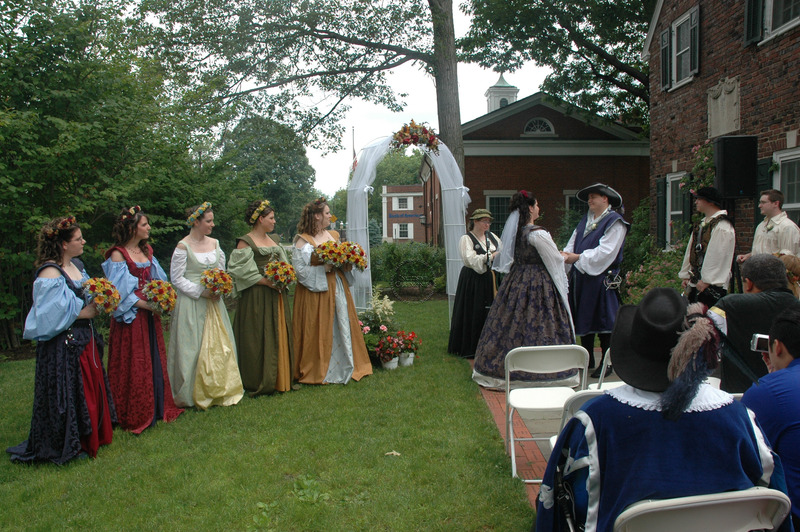 Guests were able to share in something important to Kate and Mike—the Renaissance Faire—without having to work to follow the ceremony. Instead there were able to sit back and enjoy the love story that unfolded before them. Of course it’s not always the big things that make a ceremony unique. 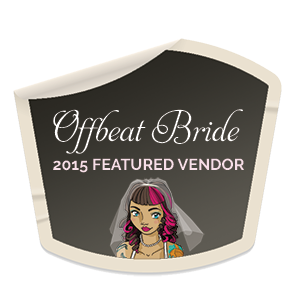 Sometimes, it’s just the brides feeling free to walk down the aisle in dresses that shows off all their tattoos. There are so many different ways to make a so called non-traditional wedding your own. We’re not held to a specific set of rules. Anything is possible, and I think that is the most important thing to take away when you’re thinking about your ceremony. With a Life-Cycle Celebrant, anything is possible. It’s my job to bring your vision to life. Outside the traditional wedding box, the possibilities suddenly become endless, exciting and fun. Since the Renaissance wedding, I have a costume clause in my contract. Couples see it and ask me about it. It opens the door to talking about just how far we can go with their ceremony. 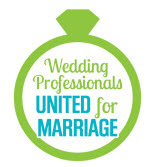 I have spent some time chatting online with other officiants and have read about people feeling outraged because they think that people aren’t taking their marriage or their wedding seriously if they’re dressing in costumes or if they’re walking down the aisle under a troop of jugglers or something like that, but that’s not really the case. Weddings are a celebration of love. They can be joyous, funny, silly, even irreverent. Your wedding can be whatever you want it to be.